I follow a few other personal finance blogs, and some of them have made reporting their net worth a monthly tradition. 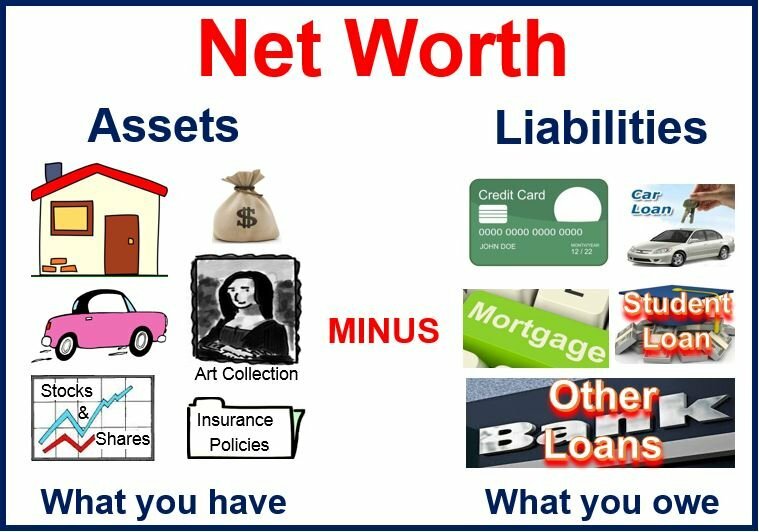 They report the market value of their assets and their cash holdings, and add these together (minus liabilities) to get a net worth number. If their net worth has increased, well...they're happy to write about it. If it has gone down, they explain the culprits. Some of their readers have taken to following the model, and compute their own net worth. and then subtract all of your debts such as what you still owe on your auto, home, education, personal, and credit card loans. Whatever net worth number these bloggers have shared with their readers, and whatever net worth number you have figured out on your own, I'm here to tell you that it is bogus. Why? What happens when you sell your assets for any gains? You are taxed! I once liquidated an equity investment within my very taxable brokerage account with gains of $18K. Prior to doing this, my net worth included this line item amount of +$18K. But once I sold, my Enrolled Agent sent me a nice little letter saying I owed $2500 to the feds and $500 to the state in taxes. So in truth, my net worth just for this line item was $3000 less! 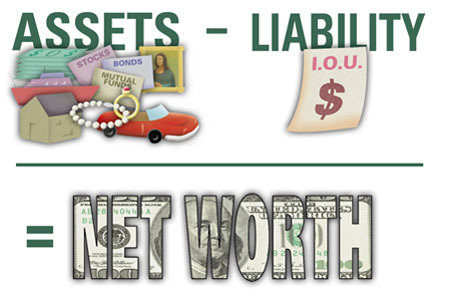 Let's face it, your personal assets will only ever be sold for only a fraction of the value that is listed on your personal balance sheet in the event of a capital gain. Uncle Sam will take his share, thank-you very much. You won't be taxed on the sale of your stuff, like a slightly used titanium driver, but you sure as hell won't get back all of what you paid for it. Over-estimating the value of cars, Armani suits, televisions, stereos, and even art, is one sure way of being completely off on your net worth calculation. Do you know where you won't be off? Cash. The value of cash is what it is for any moment in time. If you happen to have cash in a Roth IRA and keep it there until you're eligible to withdraw without any penalty, you won't incur any taxes on it. Now, of course you'll end up losing valuable purchasing power over the years to inflation. But at least your net worth calculation will be on point. What about all those tax deferred saving and investing vehicles? Traditional IRAs, 401Ks, 403bs, e.g.? Sure it's nice to get those reports telling you the value of your investments within these vehicles. But don't think these are true numbers for your net worth calculation. As soon as you retire and start withdrawing...the tax man is a coming! So, you're net worth again is really less than you think.